New on Blu-ray and DVD for May 15, 2018! 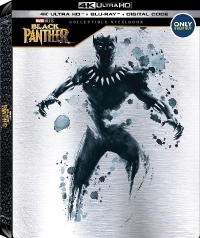 Here's what's out on home vid this week, flm fans... Black Panther! 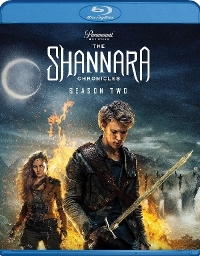 Post apocalyptic series, Shannara Chronicles Season 2! A year after the events of last season, The Four Lands is in chaos. The re-emergence of magic has the populace terrified, and an organization called The Crimson is hunting down magic users, using fear and intimidation to sow discord among the races. Wil Ohmsford, scarred by the loss of Amberle and his separation from Eritrea, has turned his back on his magical destiny to become a healer. But when a mysterious woman named Mareth saves Wil from a Crimson attack, he is forced to rejoin the fight. After reuniting with Eretria, Wil and Mareth seek out Allanon, only to learn that the Druid's former protege, Bandon, is on a mission to resurrect a creature of darkest evil: The Warlock Lord. Together, our heroes must band together to take down The Crimson and prevent Bandon from unleashing an even greater threat upon the Four Lands… before it's too late. 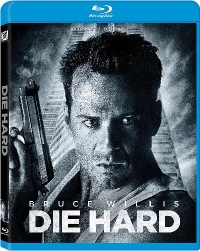 Die Hard gets a release for its 30th anniversary. 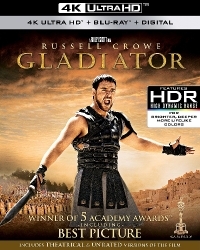 I'll bet Scott's Gladiator looks incredible in 4K... When a Roman General is betrayed, and his family murdered by an emperor's corrupt son, he comes to Rome as a gladiator to seek revenge. 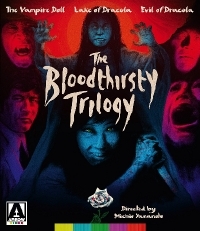 Inspired by the runaway success of the British and American gothic horror films of the sixties, Toho studios brought the vampiric tropes of the Dracula legend to Japanese screens with The Vampire Doll, Lake of Dracula, and Evil of Dracula three spookily effective cult classics collectively known as The Bloodthirsty Trilogy. In The Vampire Doll, a young man goes missing after visiting his girlfriend s isolated country home. His sister and her boyfriend trace him to the creepy mansion, but their search becomes perilous when they uncover a gruesome family history. In Evil of Dracula, a professor takes up a new post at an all-girls school only to discover the school s principle conceals a dark secret and the pupils are in grave danger. Abounding with images of dark thunderous nights, ghostly mansions and bloody fangs, Michio Yamamoto s trilogy emphasizes atmosphere and style and is sure to please both fans of classic gothic horror and Japanese genre cinema.